I know it's not western-y. But it's Memorial Day. 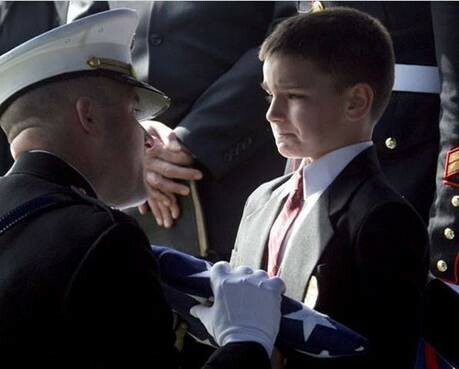 Please take a minute to remember with me. silently speak of the past, when they were new and full of life. The traffic light on Main Street measures the slow pace of life in increments of green, yellow and red. Most times, the Christmas decorations go up on the streetlights after Halloween and don’t come down until the first warm day of spring. “A TRUE AMERICAN HERO,” the lettering read, and below that, “2ND LT. JOE CUNNINGHAM.” Red and blue magic marker starbursts filled the white void of the background around the letters, leaving no doubt that the banner had taken hours of loving, painstaking precision to create. I slowed down to twenty-five as tears blurred my eyes. A car pulled out in front of me a little further down the road, and I looked to my right. The side road had been blocked off. There were at least two hundred motorcycles parked beside the First Baptist Church. The Patriot Guard Riders had come to pay their respects—and to be certain that everyone else did, too, should a certain crazy group of fanatics from Kansas decide to make an appearance. 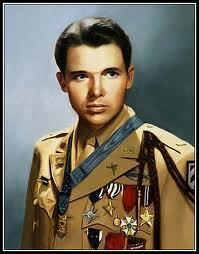 Who better to honor this Memorial Weekend than Audie Murphy? 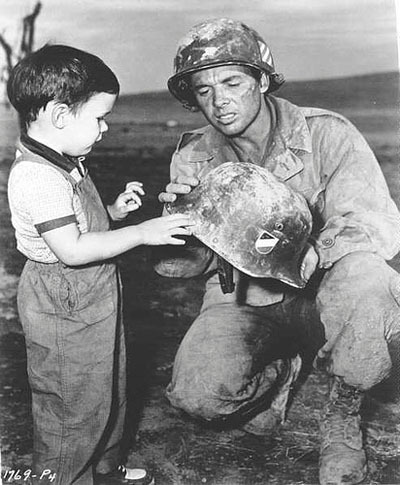 Through LIFE magazine's July 16, 1945 issue ("Most Decorated Soldier"/cover photo), Audie Leon Murphy became one the most famous soldiers of World War II and widely regarded as the most decorated American soldier of the war. After the war he became a celebrated movie star for over two decades, appearing in 44 films. He later had success as a country music composer. And how appropriate that we honor him this weekend. In addition to be America’s Most Decorated Soldier, Audie Murphy died in a plane crash on Memorial Day Weekend, May 28, 1971. Audie Leon Murphy was born to sharecroppers near the community of Kingston in Hunt County, Texas. His parents were of Irish descent, Emmett Berry Murphy (February 20, 1886–September 20, 1976), and his wife, Josie Bell (née Killian (1891–1941). He grew up on farms in Hunt County and has several memorials there. He was the sixth of twelve children, two of whom died before reaching adulthood. In 1933, Emmett and Josie Murphy with their 5 children June, Audie, Richard, Gene, and Nadine moved to Celeste, Texas with the primary purpose of enrolling the children in school. They lived in an abandoned railroad boxcar on the southern end of the small community for several months before renting a rundown home in Celeste until 1937. The railroad car no longer exists. While the family lived in Celeste, the two remaining Murphy children, Beatrice and Joseph, were born. It was here that Audie befriended the Cawthon family who played a prominent role in his life. In 1937, the Murphy family moved back into the abandoned railroad car for several weeks and then moved to a farm near Floyd, Texas located just west of Greenville. Audie finally moved out on his own in 1939 at the age of 15 after finding a job with Haney Lee, who had a farm nearby. 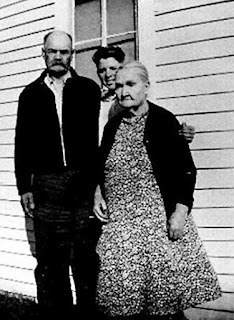 Audie spent a lot of time with his grandparents, Jefferson D. and Sarah Elizabeth Killian, at their home in Farmersville, Texas. In fact, the Killian was a place of refuge for the Murphy children when times were difficult during the years of the depression. At the height of the depression, around 1929 or 1930, Audie's oldest sister, Corrine, left the Murphy family and moved in with the grandparents to help relieve some of the financial stress burdening the Murphy family. As the family moved from community to community over the years, they never strayed too far from the Killian home. Around 1933-36 (depending on the account), Emmett Murphy, who was known to disappear for weeks at a time while apparently seeking employment, finally vanished permanently. He had attempted to convince his wife and family to move with him to West Texas where he hoped to find work in the oil fields. Unconvinced that this was a wise move, Mrs. Murphy did not want to leave the area where her parents and lifelong friends lived. Audie dropped out of Celeste school in the fifth grade to help support the family. He worked for one dollar per day, plowing and picking cotton on any farm that would hire him. 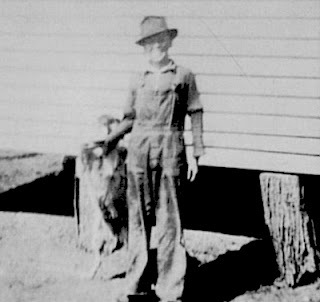 Murphy became very skilled with a rifle, hunting small game like squirrels, rabbits, and birds to help feed the family. One of his favorite hunting companions was neighbor Dial Henley. When Henley commented that Murphy never missed what he shot at, Murphy replied, "Well, Dial, if I don't hit what I shoot at, my family won't eat today." On May 23, 1941, his mother died. At the time of their mother's death, Audie was approximately 17 years old and was declared by the county to be old enough to take care of himself. The placement of his siblings in the Boles Childrens Home in nearby Quinlan was an event that Audie vowed to correct. On more than one occasion during the war, he told his buddies that he hoped to someday earn enough money to reunite what remained of his family. As it turned out, Audie was able to keep his promise. He worked at a combination general store, garage and gas station in Greenville. Boarded out, he worked in a radio repair shop. Later that year, with the approval of his older, married sister, Mrs. Elizabeth Corinne Burns (usually referred to as "Corrine"), who was unable to help, Murphy placed his three youngest siblings in an orphanage to ensure their care. He reclaimed them after World War II. He had long dreamed of joining the military. After the attack on Pearl Harbor on December 7, 1941, Murphy tried to enlist in the military, but the services rejected him because he was underage. In June 1942, shortly after what he and his sister Corrine believed was his 17th birthday, Corrine adjusted his birth date so he appeared to be 18 and legally able to enlist. His war memoirs, TO HELL AND BACK, maintained this misinformation, leading to later confusion and contradictory statements about his year of birth. Murphy was small, only 5 ft 5 inch and 110 pounds, but he tried once again to enlist and was declined by both the Marines and Army paratroopers as too short and underweight. The Navy also turned him down for being underweight. The United States Army finally accepted him and he was inducted at (some reports say Dallas) Greenville, Texas and sent to Camp Wolters near Mineral Wells, Texas for basic training. During a session of close order drill, he passed out. His company commander tried to have him transferred to a cook and bakers' school but Murphy insisted on becoming a combat soldier, and after 13 weeks of basic training, he was sent to Fort Meade, Maryland for advanced infantry training. Murphy was awarded 33 U.S. decorations and medals, five medals from France, and one from Belgium. He received every U.S. decoration for valor available to Army ground personnel at the time. He earned the Silver Star twice in three days, two Bronze Star Medals, three Purple Hearts, the Distinguished Service Cross, and the Medal of Honor. After seeing the young hero's photo on the cover of the July 16 edition of Life Magazine and sensing star potential, actor James Cagney invited Murphy to Hollywood in September 1945. Despite Cagney's expectations, the next few years in California were difficult for Murphy. He became disillusioned by the lack of work, was frequently broke, and slept on the floor of a gymnasium owned by his friend Terry Hunt. He eventually received token acting parts in the 1948 films “Beyond Glory” and “Texas, Brooklyn and Heaven.” His third movie, “Bad Boy,” gave him his first leading role. 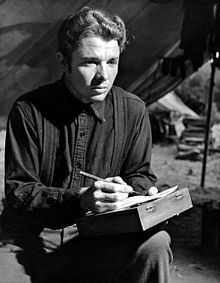 He also starred in the 1951 adaptation of Stephen Crane's Civil War novel, “The Red Badge of Courage,” which earned critical success. Murphy expressed great discomfort in playing himself in “To Hell and Back.” In 1959, he starred in the western “No Name on the Bullet,” in which his performance was well-received despite being cast as the villain, a professional killer who managed to stay within the law. 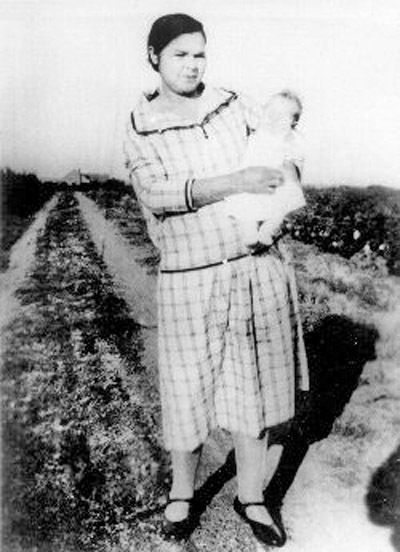 After returning home from World War II, Murphy bought a house in Farmersville, Texas for his oldest sister Corrine, her husband Poland Burns, and their three children. 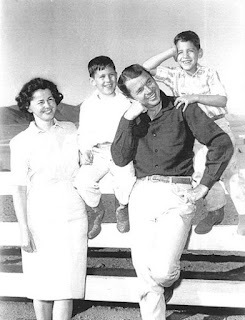 His three youngest siblings, Nadine, Billie, and Joe, had been living in an orphanage since Murphy's mother's death, He intended that they would be able to live with Corrine and Poland. However, six children under one roof proved difficult for Corrine and Poland to parent, and Murphy took his siblings to live with him. Despite a lot of post-war publicity, his acting career had not progressed and he had difficulty making a living. Buck, Murphy's oldest brother, and his wife agreed to take Nadine in, but Murphy could not find a home for Joe. He approached James "Skipper" Cherry, a Dallas theater owner who was involved with the Variety Clubs International Boy's Ranch, a 4,800 acres ranch near Copperas Cove, Texas. He arranged for Joe to live at the Boy's Ranch. Reportedly, Joe was very happy there and Murphy was able to frequently visit his brother as well as his friend Cherry. In a 1973 interview, Cherry recalled, "He was discouraged and somewhat despondent concerning his movie career." Variety Clubs International was financing “Bad Boy,” a film to help promote the organization's work with troubled children. Cherry called Texas theater executive Paul Short, who was producing the film, to suggest that they consider giving Murphy a significant role in the movie. Murphy performed well in the screen test, but the president of Allied Artists did not want to cast someone in a major role with so little acting experience. Cherry, Short, and other Texas theater owners decided that they wanted Murphy to play the lead or would not finance the film. The producers agreed and Murphy's performance was well-received by Hollywood. As a result of the film, Universal Studios signed Murphy to a seven-year studio contract. After a few box-office hits at Universal, the studio bosses gave Murphy increased scope in choosing his roles. Murphy's 1949 autobiography TO HELL AND BACK became a national bestseller. The book was ghostwritten by his friend, David "Spec" McClure, already a professional writer. Murphy modestly described some of his most heroic actions—without portraying himself as a hero. He did not mention any of the many decorations he received, but praised the skills, bravery, and dedication of the other members of his platoon. Murphy even attributed a song he had written to "Kerrigan". Murphy portrayed himself in the 1955 film version of his book with the same title, “To Hell and Back.” Murphy was initially reluctant to star in the movie, fearing it would appear he was cashing in on his war experience. He suggested Tony Curtis for the role. Unlike in most Hollywood films, where the same soldiers serve throughout the movie, Murphy's comrades are killed or wounded as they were in real life. At the film's end, Murphy is the only member of his original unit remaining. At the ceremony where Murphy is awarded the Medal of Honor, the ghostly images of his dead friends are depicted. 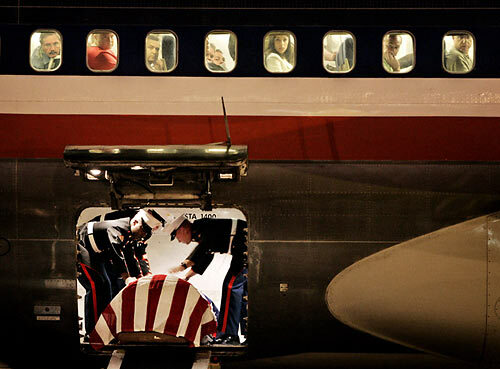 This insistence on reality has been attributed to Murphy and his desire to honor his fallen friends. 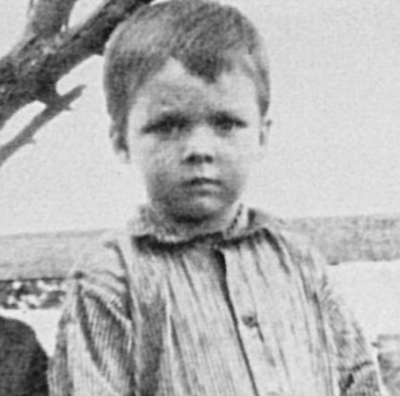 Audie Murphy's oldest son, Terry, portrayed Audie's younger brother Joseph Preston "Joe" Murphy (at age four). 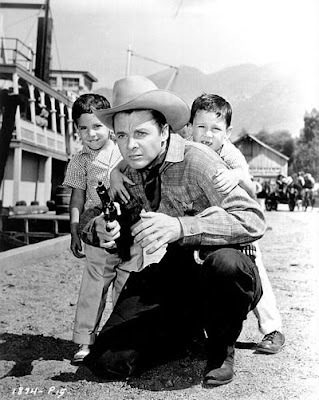 In the 25 years he spent in Hollywood, Murphy made 44 feature films, 33 of them Westerns. He played outlaws Billy the Kid, Jesse James, and Bill Doolin. His films earned him close to $3 million in his 23 years as an actor. He also appeared in several television shows, including the lead in the short-lived 1961 NBC western detective series “Whispering Smith,” set in Denver, Colorado. For his contribution to the motion picture industry, Murphy has a star on the Hollywood Walk of Fame at 1601 Vine Street. In addition to acting, Murphy also became successful as a country music songwriter. He teamed up with musicians and composers including Guy Mitchell, Jimmy Bryant, Scott Turner, Coy Ziegler, Ray and Terri Eddlemon. Murphy's songs were recorded and released by well-known artists including Dean Martin, Eddy Arnold, Charley Pride, Jimmy Bryant, Porter Waggoner, Jerry Wallace, Roy Clark, and Harry Nilsson. His two biggest hits were "Shutters and Boards" and "When the Wind Blows in Chicago". Murphy was reportedly plagued by insomnia, bouts of depression, and nightmares related to his numerous battles throughout his life. His first wife, Wanda Hendrix, often talked of his struggle with this condition, even claiming that he had held her at gunpoint once. For a time during the mid-1960s, he became dependent on doctor-prescribed sleeping pills called Placidyl. When he recognized that he had become addicted to the drug, he locked himself in a motel room where he took himself off the pills, going through withdrawal for a week. Always an advocate of the needs of America's military veterans, Murphy eventually broke the taboo about publicly discussing war-related mental conditions. In an effort to draw attention to the problems of returning Korean and Vietnam War veterans, Murphy spoke out candidly about his own problems with PTSD, known then and during World War II as "battle fatigue". He called on the United States government to give increased consideration and study to the emotional impact that combat experiences have on veterans, and to extend health care benefits to address PTSD and other mental-health problems suffered by returning war veterans. Murphy married actress Wanda Hendrix in 1949; they were divorced in 1951. He then married former airline stewardess Pamela Archer, by whom he had two children: Terrance Michael "Terry" Murphy (born 1952) and James Shannon "Skipper" Murphy (born 1954). They were named for two of his most respected friends, Terry Hunt and James "Skipper" Cherry, respectively. Murphy became a successful actor, rancher, and businessman, breeding and raising Quarter Horses. 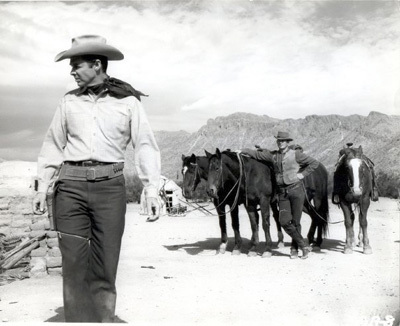 He owned ranches in Texas, Tucson, Arizona and Menifee, California. On May 28, 1971, Murphy was killed when the private plane in which he was a passenger crashed into Brush Mountain, near Catawba, Virginia, 20 miles west of Roanoke, Virginia in conditions of rain, clouds/fog and zero visibility. The pilot and four other passengers were also killed. In 1974, a large granite marker was erected near the crash site. On June 7, 1971, Murphy was buried with full military honors at Arlington National Cemetery. A special flagstone walkway was later constructed to accommodate the large number of people who visit to pay their respects. It is the second most-visited grave site, after that of President John F. Kennedy. Murphy’s diverse honors are far too numerous to list here so I’ll mention only those in the county of his birth. 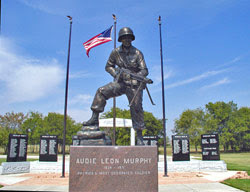 From the mid-1990s through the present, an annual celebration of Murphy and other veterans in all branches of service has been held on the weekend closest to Murphy's birthday at the American Cotton Museum, renamed The Audie Murphy/American Cotton Museum (in Greenville, Texas), which houses a large collection of Murphy memorabilia and personal items. His statue stands in front of the museum. A monument in his honor stands in Celeste, the small town where he attended school for five years. Farmersville also claims Audie Murphy, since that is where his sister Corinne lived and the address on his draft information. 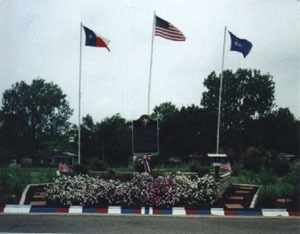 Highway 69 from Greenville to Fannin County is the Audie Murphy Memorial Highway, and Highway 34 crosses the railroad tracks in Greenville on the Audie Murphy Memorial Overpass. Mark your calendar for the 13th annual Audie Murphy Day celebration in Farmersville, Texas with a Military flyover at 10 am followed by parade downtown and program under the Onion Shed. As we remember those who have gone before us this weekend, let’s remember soldiers like Audie Leon Murphy and his comrades. 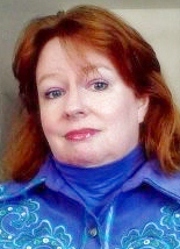 Thanks to Wikipedia, www.audiemurphy.com, and the Chambers of Commerce of Greenville, Celeste, and Farmersville, Texas. Shortly before the Santa Fe Railroad arrived, Dodge City, Kansas was incorporated. The booming business was buffalo bones and hides and the town provided a social gathering place for the soldiers from nearby Fort Dodge. In 1875 its cattle days were born and for the next ten years it was known as the “Cowboy Capital” as well as “Queen of Cowtowns”. Well known lawmen and gunfighters took their turn in Dodge- Wyatt Earp; Bat, Ed, and Jim Masterson; Doc Holliday; William Tilghman; Clay Allison; Ben and Billy Thompson; Lake Short; to name a few. Dodge. Matter of fact, it was often hard to tell the good guys from the bad. One of the only real bullfights ever performed in the United States was in Dodge City in 1884. Mexican Bullfighters were invited and a dozen longhorn bulls corralled in town for the event. Advertising across the nation brought people in from all around the state as well as a few neighboring ones. The event was proclaimed a success, but the sport never became legal in the states so was not repeated. 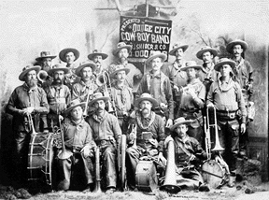 Another highly attractive event for Dodge City that became extremely popular was The Dodge City Cowboy Band. Their musical abilities were high quality; however it was said it was their manner of dress that attracted fans by the hundreds. The members wore flannel shirts, gray cowboy hats, leather chaps, spurs and pearl-handled revolvers, and the band leader used a revolver to keep time instead of a baton. The Cowboy Band also played in Denver, Chicago and Minneapolis, and in Washington, D.C., at the inaugural celebration of President Benjamin Harrison. Music played a major role in winning the west, and the base it set is still alive in the country and western genre—as is The Dodge City Cowboy Band’s manner of dress. When the Wild Rose Press sent out its call for stories for their Honky Tonk Series, I was excited. For years, every time I heard Toby Keith’s song, How Do You Like Me Now, I’d imagine a tense reunion story of lost love and was excited to write it. My story is not related to the song, but was somewhat inspired by it in the sense my hero, Lance Dugan, had left Texas dreaming of making it big in the music scene. Sing to Me, Cowboy was released yesterday. 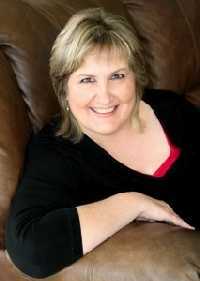 Blurb: Heather Gibson's past catches up with her one dark Texas night. Locked in a custody battle with an ex-husband who's looking for any excuse to take her children, Heather doesn't need any more trouble. 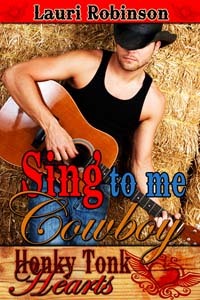 But when a broken-down car and a dead cell phone leave her stranded at the Lonesome Steer Honky Tonk, she comes face-to-face with the one man who could jeopardize everything—including her heart. Country-singing sensation Lance Dugan is back in Amarillo for his grandfather's birthday and to take care of a bit of unfinished business—apologize to Heather for leaving ten years ago. Lance has fought hard and won big the last few years, but seeing Heather again makes him wonder if he's been fighting for the right things. Finding each other again may seem like fate, but one horrible secret, buried deep, could divide them forever. Years ago, while cruising the American history shelves in a used book store, I came across a book titled: BACON, BEANS, AND GALANTINES, Food And Foodways On The Western Mining Frontier. Written by Joseph R. Conlin, it’s a thoughtful study of how well old time miners ate and how they obtained their food. Today I will pass on a few tidbits from this fascinating book. The first obstacle faced by would-be miners was getting to the gold or silver districts. 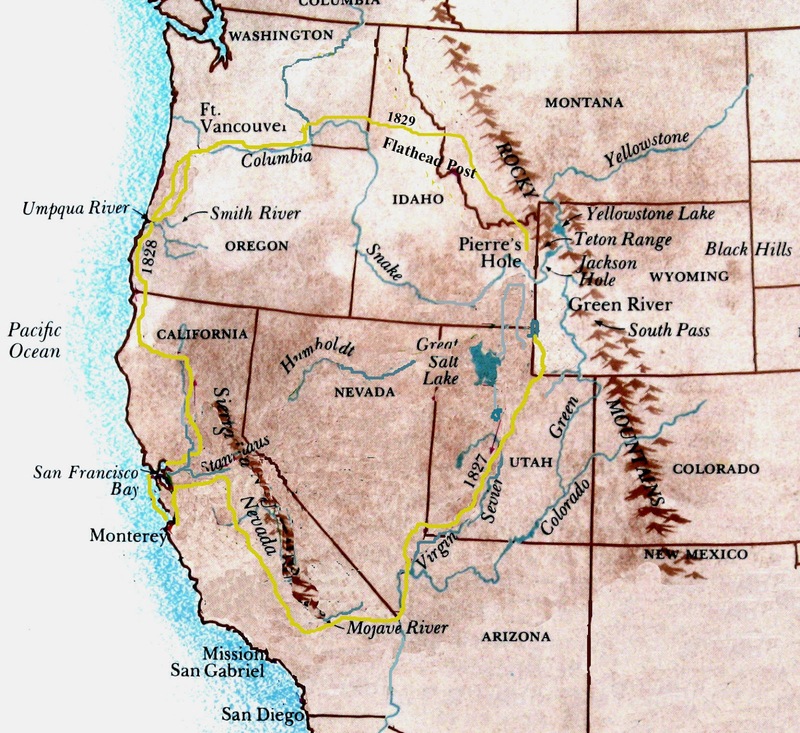 At the time of the California Gold Rush, the Pikes Peak rush to Colorado, and the great Comstock Lode rush to Nevada, no railroad had yet reached those remote areas. Thus, fortune seekers had to travel either overland, often by covered wagon, or by sea to their destinations. Several guide books offered advice to overland travelers, including what foods to take with them, and how much of each they would need. In Joseph Ware’s authoritative EMIGRANT'S GUIDE TO CALIFORNIA, he recommended the following: 824 lbs. flour, 725 lbs. bacon, 75 lbs. coffee, 160 lbs. sugar, 200 lbs lard and suet, 200 lbs. beans, 135 lbs. dried peaches and apples, and 25 lbs. salt, pepper and saleratus (baking soda). This was enough for four persons. Conlin also discusses the diet of miners who took the Panama route. After traveling by steamship from Atlantic or Gulf coast ports to Chagres, Panama, voyagers trekked across the isthmus, then waited in Panama City for a berth on another ship to carry them north to San Francisco. Several American-run hotels and restaurants in the crumbling Panamanian city catered to the forty-niners. Food was plentiful but expensive. From diaries kept by some of the miners, Conlin also describes shipboard fare as “generally abundant”. Salt Lake City was an important source of food, especially fresh fruit, for mountain mining camps. Fruits were a necessity as a prevention for scurvy. One Silver City, Idaho, food provider called the Mormon capital “one vast peach orchard”. Apples, plums, grapes and various grains could also be purchased there. Once the country’s first transcontinental railroad was completed in 1869, an even greater variety of foodstuffs flowed in from both east and west. Miners loved to eat out when given the opportunity. “Restaurants” quickly sprang up in even the roughest mining camps. They were plain, homey eateries, set up in tents or crude shacks. Hungry miners found respite and a solid meal in such places. As larger, more elegant establishments moved in, menus also became fancier. Meals of small game, oysters, broiled steaks, or galantines (a classic French dish; meat-wrapped paté cooked in stock and served cold in its own jelly) were obtainable, though pricey. In the 1860s, Virginia City, Nevada, was the home of several fine eating houses: the Downievill Restaurant, the Virginia Restaurant (“supplied with the best the market affords”), and the New World Restaurant (“the VERY BEST the market affords”). There were many other less boastful establishments. In Colorado, 1859, while some Pike’s Peakers went hungry, others enjoyed abundant food in Denver. One restaurant provided meals at $12 per week. The City Bakery in Auraria let the miners pay with gold dust, for “meals at all hours.” The mile high city was also home to several popular seafood restaurants, despite being more than a thousand miles from salt water. 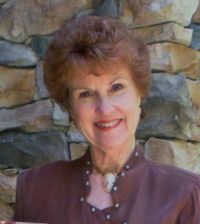 Our guest today is Kathleen Ball. She will first review a wonderful book I've had on my bookshelf for years, titled Texas Tears and Texas Sunshine. The four sections of the book have headings such as those in the title, and they are actually names of frontier quilt patterns. The other two patterns used are Log Cabin and Lone Star. 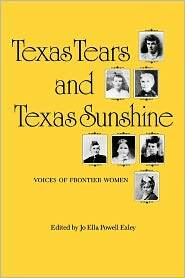 Jo Ella Exley complied a collection of incredible writings of frontier Texas through the eyes of Texas Pioneer women. 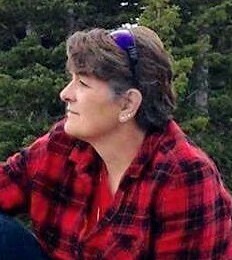 From what she named the Log Cabin: Colonization of 1821--35 to the Texas Sunshine: The Last Frontier, 1865--1905. It’s a book telling of hardship, illness, deprivation and death. These remarkable women persevered and survived. They are an example of the resilience of the human spirit. 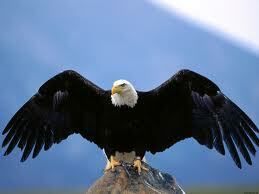 Their faith and strength of character got them through the immense difficulties. These women built Texas. One narrative that really struck me was the story of Rachael Parker Plummer. On May 19, 1836 married with a young son, Indians near Fort Parker captured her, which is present day the town of Groesbeck. They soon separated her from her son and she became a slave of the Comanche’s. She gave birth to her husband’s child and it was murdered in front of her. A Mexican trader eventually bought her. When asked, she was told that her husband, mother and father were all still alive. When she mentions her reunion of her family, she talks about her parents and the whole town embracing her. There was no mention of her husband. It made me mad. She survived and he wasn’t there. Not uncommon, but sad. I found this book riveting. Each woman’s story is different but they all had a common goal to thrive in the Texas frontier. Callie Daniels' mother has one dying wish. She wants neighboring rancher, Garrett O'Neill, to marry her seventeen-year-old daughter. Callie knows it’s not supposed to be a conventional marriage. Garrett O'Neill would keep Callie's ranch safe and Callie would go away to college. Four years later, Callie comes home with stars in her eyes and happily ever after in her heart. She plans to make their marriage real until finds the new housekeeper, Sylvie in Garrett's arms. Heartbroken, Callie moves out. She sustains injuries from her horse and Garrett forces Callie to move back in to his house. Callie finally gets her heart's desire. Alone in a line shack, they make sweet love for the first time. Unfortunately, the love light is gone from Garret's eyes the next morning. She knew that it wasn't a real marriage. Somehow, her heart became involved. The truth cut painfully. Callie walked over to the full-length mirror and gazed at her reflection. Her skin appeared too white and her blonde hair too dark. A few weeks in the Texas sun would take care of that. Her sadness reflected back to her in her violet eyes. Sometimes people stared at her eyes they were an unusual color. She shook head in disgust, went to her closet, and found a pair of her old jeans and a faded red t-shirt. She couldn't believe she had worn a dress and left her hair down for her supposed husband. No more pretending to be anything other than a rancher. Dressed in her normal clothes, she pulled on her old scuffed boots and tried to smile. Looking in the mirror again, Callie braided her hair down her back. Her heart still broke, but she refused to cry. Putting on her black Stetson, she walked out of her room and out of the house. It wasn't her house anymore. It never was. They had decided to close up her homestead and have her move into Garrett's farmhouse. It had all been an illusion, the same as her marriage. The newly painted barn looked good. Callie's step lightened as she made her way to her horse, Pirate. Pirate had been her horse since forever. He'd been a gift from her father. From the first time she sat on Pirate's shiny black back, the two had become inseparable. Laughing as Pirate nickered at her; she opened the stall and walked in. Immediately she hugged her best friend, wishing she could just cry against his neck. 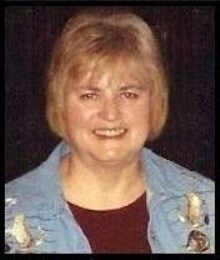 A voracious reader, Kathleen quickly discovered the world of romance novels and she knew she was home. At the encouragement of her sister Tricia, she decided to try writing. Kathleen wrote her first book three years ago. She was shocked to find out that people loved what she wrote. 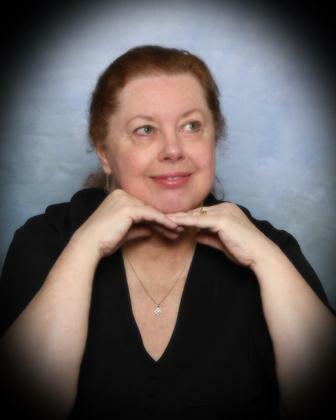 All of Kathleen's novels are award winners. 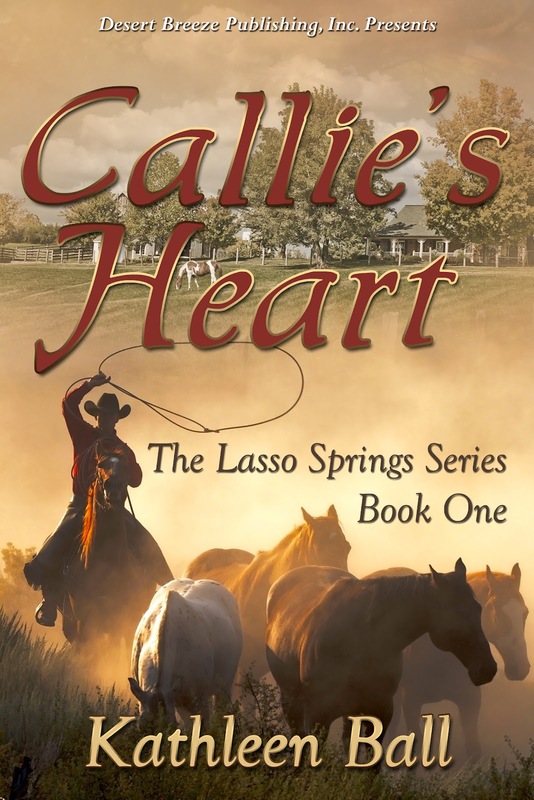 Callie's Heart is her first published novel. 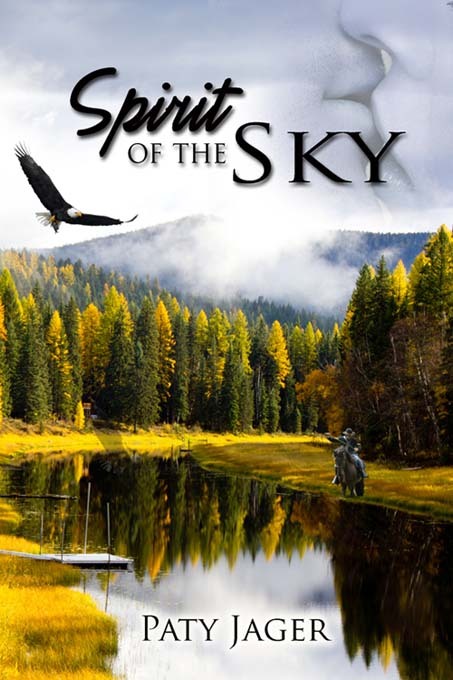 It is the first book in The Lasso Springs Series. 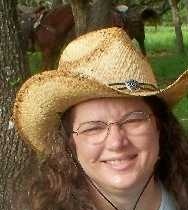 Kathleen lives in Texas. She moved there from Rochester, New York. She is having the time of her life exploring Texas culture. 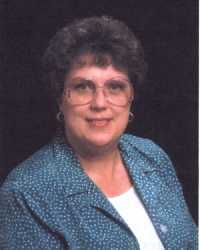 Kathleen is married to her wonderful husband Bruce and they have one son, Steven a Marine. They just welcomed new additions to their family, a new daughter in law, Brittany and her cute as a button son, Colt. THANK YOU, KATHLEEN, FOR BEING OUR GUEST. 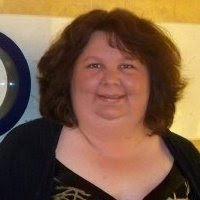 VISITORS--PLEASE LEAVE A COMMENT FOR KATHLEEN. So...can a vegetarian really be chuck cook on a wagon train? Can she really start up a veggie restaurant smack dab in the middle of cattle country? You just might have to check out Soul Food, the fifth book in my Hearts Crossing Ranch series, to see! It’s just been released from Pelican Book Group and Amazon! 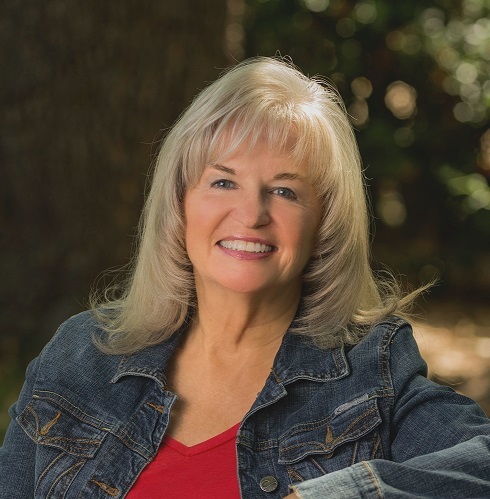 Here’s a quick blurb: With her restaurant on the brink of failure, Kelley Martin comes home to Hearts Crossing Ranch in Colorado both to renew her spirit and make some quick cash as chuck cook on the family’s famed city slicker wagon train adventures. Falling for handsome temporary geneticist Jason Easterday is definitely not on her list of things to do. And despite her wavering faith, Jason’s lack thereof shows her there’s no future for them...even if his kisses indicate otherwise. Always on the move, Jason Easterday has lived his life searching for...something. When he meets Kelley Martin and allows God into his life, Jason feels he's finally found his place. With Kelley at his side, he'll have a home of his own and a wife to adore. But Kelley won't give him the time of day, and she's leaving town to return to her ex. Now, he must find a way to hold his ground, get her back, and remain where his heart has led him. I’m excited at the new installment of the Martin family, a fictional group of folks I’ve come to love. As for their gorgeous spread Hearts Crossing. I wish it were a real place so I could go visit. The book covers are turning out just like I imagine it in my head. Anyway, a gentle old horse named Peach Cobbler, belonging to Kelley’s larger than life ma, figures in many of the stories. 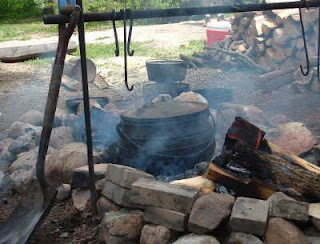 And with Kelley being an expert in Dutch oven cooking, I just couldn’t help sharing a recipe with y’all. Bear in mind I haven’t tried it. But I just may on our next all-family cook out in August. Hope you enjoy both the recipe and the book! A cast Iron dutch oven is ESSENTIAL for this recipe, nothing else works. Layer 1: Drain 3 cans of peaches and put in cast iron Dutch oven. Add 3 more cans of peaches, do not drain liquid, to the Dutch oven. Layer 3: Slice up one stick of butter into little pats and drop all over the top of cake mix. 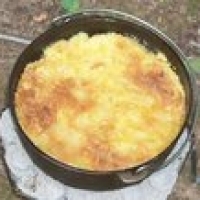 Put the lid on the Dutch oven and put in the campfire, near hot coals, not on the hot coals. Place hot coals on top of the Dutch oven lid. VERY IMPORTANT. In about 20 minutes, give the Dutch oven a 180 degree turn, to insure an even bake. In about 20 more minutes, check under the lid. Dessert is finished when peaches are soft and carmelized, juice will really thicken, you will have a hot, bubbly , golden brown, topping. Don't let the Dutch oven turn all glowy red, or your cobbler will burn. I love finding out-of-the-ordinary books and while searching the shelves at Half-Price Books, I came across TRUE TALES OF THE WILD WEST by Paul Robert Walker. After reading several of his chapters, I finally discovered that this book was of the ‘young adult’ category. The book is very well written and researched. As the book’s blurb says, “Walker shares ten [legendary characters and stories] to present a delightfully readable and highly entraining history of the West…” One of the characters he writes about is Jedediah Smith, a trapper who traveled further than any other white man of his time. 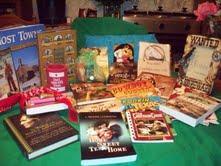 NOTE: TRUE TALES OF THE WILD WEST is part of the Sweethearts of the West Basket on Brenda Novak’s Auction for Diabetes Research. Check it out HERE. Jedediah Smith was one of the first, if not the, first white man to see much of the Southwest United States. He most certainly saw more of it than any other white man in his time. 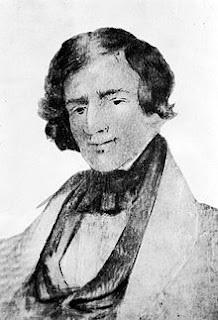 Born in 1799 in New York State, Smith moved around as a child when his father tried to stay ahead of the growing population and nearer the frontier’s edge. Perhaps he inherited his traveling spirit from his father. According to family legend, Smith read Biddle’s 1814 edition of the Lewis and Clark journals and vowed to make his own way west. In 1822, he joined up with William H. Ashley’s fur trading expedition. In 1824, Smith rediscovered the South Pass across the Rockies in present-day Wyoming. First used in 1812-13, the location was then lost until Smith found it again. This discovery paved the way for the tens of thousands of pioneers to use the pass as part of the Oregon-California Trail during the Western Migration. The route he took had in fact been an expedition taken by two priests in 1776. The priests had mapped out the area, including a river they named Rio Buenaventura. 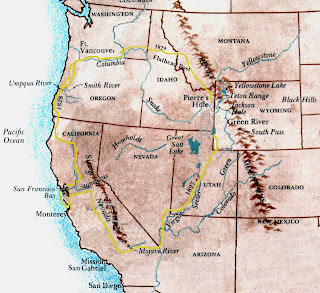 In later maps, this river was greatly exaggerated, so that by the time Smith attempted to follow the directions, he thought it to be a large river traveling from the Rockies straight to the Pacific Ocean. There is, as we now know, no such river. What Smith found instead of a vast river and much wildlife, was a barren wasteland—the Great Basin of Southern Utah, also known as the Mohave Desert. It turned out to be an adventure he barely survived. The trappers spent three days trying to catch beavers, all to no avail. Eventually, “they followed the creek back into the mountains and crossed another range to yet another stream.” At this point, the two men with wives wanted to turn back, but Smith said no. As “free trappers” though, they were under no obligation or contract to stay with Smith, so they took their wives and children and headed back East. Soon after, one of the single men also left, taking with him a horse, a rifle and both the Indian women the group had rescued from the Utes. Fifteen or so men, including Smith, pushed westward into the unknown. Where his travels took him. Supplies were running low and the men faced starvation, but just when things became desperate, they discovered a large stream and dried stalks of corn planted by Indians several years before. Shortly, they met up with those who had planted the corn in a village of Paiutes Indians. One of the Indians held out a freshly killed rabbit as a sign of friendship. When Smith accepted the rabbit and gave a gesture of thanks, the trappers were surrounded by a group of friendly Indians. In exchange for a few trinkets, including bits of metal that could be used for arrowheads, the starving men were given corn and pumpkins. “Smith later wrote that the simple food might seem ‘indifferent…to him who has never made his pillow of sand of the plain or to him who would consider it a hardship to go without his dinner yet to us weary and hungry in the desert it was a feast a treat that made my party in their sudden hilarity and Glee present a lively contrast to the moody desponding, silence of the night before.’” Smith’s group spent three days among the Paiutes, trading for additional corn for their journey. Following the river (now called the Virgin River) they came upon another Paiutes village. There they met two men from the neighboring Mohave tribe who told them, via signs, that there was a larger river one day’s journey to the south where they could find plenty of beaver. Smith guessed, correctly, that this larger river was the Colorado of the west. 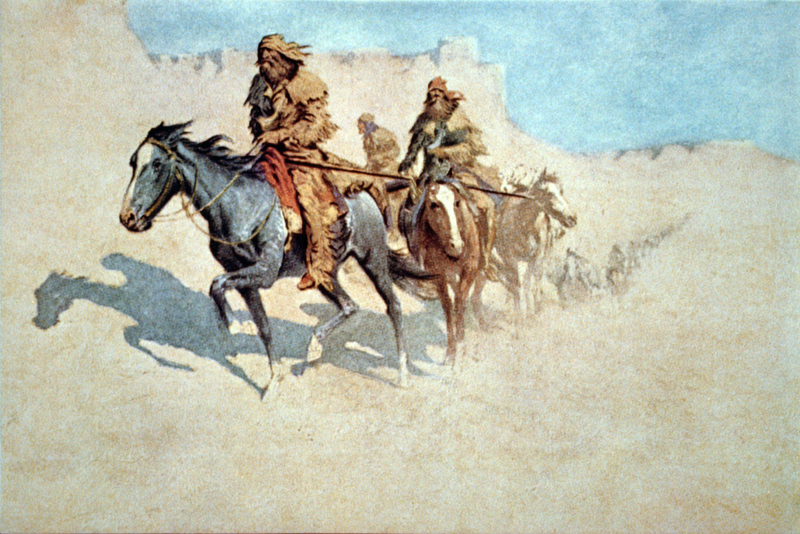 Led by Indian guides, the men made their way to and then across the Colorado. Finally they reached a large Mohave settlement in what is now southern Arizona. The Mohave had had interaction with the Spanish so were more familiar with white men than the Paiutes. They even had horses and Smith traded some of his tired animals for fresh ones. After resting a few days, Smith and his band of trappers headed out again, this time following the directions of the Mohave into the desert toward a river. However, he was unable to find the river they had told him about and he was forced to return to the Colorado River. There he came across an even larger Mohave village, who welcomed his group with friendliness. Being melon harvest season, he awoke to find hundreds of the melons outside his tent. By now, it was late October and any attempt to head back East would mean being caught in the mountains during a winter storm. Instead, with the help of two Indians who had been at a Spanish mission in California, Smith and his group crossed into the “dry rocky sandy Barren desert.” Following a river Smith called Inconstant for its habit of disappearing into the sand (fortunately, it would soon reappear and is now known as the Mohave River) they made their way to what is now Victorville, California. Smith continued his trapping and exploring for several more years. In 1830, after the death of his mother, Smith decided to settle down in St. Louis. He purchased a farm and townhouse, but he had to make one more trip into the Southwest. When he had sold his share of the fur company, he had promised to procure supplies for the new owners. While leading the caravan along the Santa Fe Trail in 1831, he was killed by Comanche warriors. 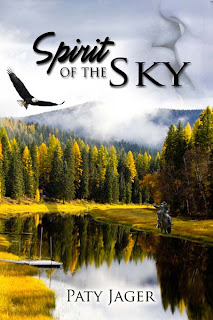 My latest release, Spirit of the Sky, is set during the Army's chase of the fleeing nontreaty Nez Perce. In order to write the book I not only needed to know the Nez Perce's point of view but also know about the cavalry and army chasing them. So I read not only books from the army and Indians view point but also books on the cavalry and forts. These are some of the interesting things I learned. Whenever possible, horse artillery was attached to the cavalry, and was followed by its own train of ammunition, supply wagons, and rolling forage. This large entourage made it easy for the Nez Perce to keep an eye on the army. That said the retreating Indians also had a large herd of nearly a thousand horses that were following their path making them also easy to follow. That many horses not only beat the ground up but could leave a large billowing dust cloud in its wake. 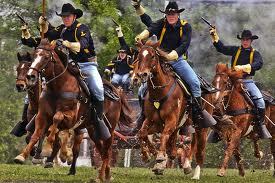 When marching the cavalry could cover around thirty-five miles in an eight-hour day with good weather and terrains. During the chase after the Nez Perce the soldiers, horses, and mules were pushed to their limits. Troopers learned to sleep in their saddles on the long marches, and the horses would plod along in a catatonic state. At a walk the cavalry could cover four miles in an hour; at a slow trot, six; at a maneuvering trot, eight; at an alternate trot and walk, five; at a maneuvering gallop, twelve; and at a full extended gallop, sixteen. Cavalry marches covered about six miles per hour, A march was a walk trot rhythm that would be halted for five minutes every hour. Veteran troopers learned to travel as light as possible, living off of the countryside. This practice not only spared the mount but enabled the troops to cover ground more rapidly. This is the middle of my blog tour and I'd be remiss if I didn't share the blurb. excerpt and contest details. The plants parted, revealing the contorted face of a soldier squinting down the length of a rifle pointed at them. Girl of Many Hearts squeaked. Sa-qan drew the child behind her, using her body as a shield. As a spirit she could not be killed by a mortal’s bullet. A man dressed in buckskin pants and a soldier’s shirt with leader markings appeared behind the soldier pointing the rifle at them. “No, Private! Leave them be!” The command rang with authority. The man’s dark eyes, shaded by the brim of a hat, narrowed, staring at her. “We’re only after the warriors. Go.” He pushed the soldier from the water and stepped closer. “Are you a captive?” He held out his hand not holding a weapon. “I can help you. Take you from this.” His voiced dropped to a deeper, calming tone. Sa-qan met his gaze. Should she let him know she spoke his tongue? The compassion in his eyes was a harsh contradiction to the violence still raging through the village. She shook her head and pressed Girl of Many Hearts farther into the river. He took another step forward. “I can help you. We’re going to keep after these people until they give in. I know the army. They don’t give up.” The sorrow and weariness in his tone puzzled her. She thought all soldiers thrived on attacking and harassing the Nimiipuu. “I can get you away from this now, before it gets worse.” He took another step. His nostrils flared as the stinging scent of burning hide filled the air along with terrified high-pitched screams. “Damn!” The soldier lunged out of the river and ran toward a group of teepees being lit on fire. Blog Tour Contest! Each blog stop has a picture of an eagle in the post. Follow the tour and send me the number of different pictures you saw while following the tour. To learn where I’ll be go to my blog(http://www.patyjager.blogspot.com) or website(http://www.patyjager.net) If there is more than one correct entry I’ll draw a winner on May 21st to receive a $25 gift certificate to either Barnes and Nobles or Amazon, a handmade custom ereader cover, and chocolate. Send your entry number to: patyjag@gmail.com by May 21st. I have always had a fascination with trains. So it was quite easy to choose what aspect of the West to write about. My mother’s family is from a coal town in Kentucky. On one family trip, we headed to Kentucky to visit. I remember their houses being backed up to the train tracks. They would use the tracks like a road, and walk the tracks to town to buy groceries. Back then, the trains hauled coal, and they would collect the coal that fell onto the tracks to use for heat. I was so jealous, even then I loved trains. The long, mournful call as the whistle blew. The chug, chug, chug from the powerful engine. And they are huge! It is hard to comprehend how back in the 1800’s they were able to transform iron and steel into a 100+ ton machine. Before the age of trains, if one wanted to head West, there were few options. Goods were mainly transported from the east coast by ships. Ships had to travel down and around Cape Horn, the tip of South America. Talk about a detour! The Panama Canal, which would cut that trip in half, was conceived in 1881 but not completed until 1914. Promonotory, Utah, May 10, 1889! Progress. That’s what they called it. Until May 10, 1869 Promontory Utah, was a speck on the map. That was the day when the last spike was hammered into place, and it just so happened to be made out of gold. That spike would transform a nation and open up the west to everyone. Trains made intercontinental travel much safer, more comfortable, and quicker. Daily passenger service was soon offered. First class passengers could ride express and make the trip in a week for about a hundred dollars. Third class tickets cost about forty bucks and bought you a spot on a wooden bench. Your trip would take a bit longer since you would probably be tethered to a freight car, which had to stop for express trains. Nonetheless, you would make it in ten days or so, which is still better than six months. Comfort. George Pullman built the first sleeping car in 1862. These posh coaches had bunks which could be folded up during the day to save space. They had wonderful finery such as wallpaper, drapes, and private washrooms. Some even had libraries! Life was good, if you could afford it. Sadly, George Pullman is better known for the Pullman Strike in 1894. Railway workers across the country took part and refused to pull Pullman Cars. This affected US mail delivery, and President Grover Cleveland sent in troops to settle the ruckus. I was able to take a train ride with my sons on Amtrak. Since the sleeper cars were costly, we rode in coach. What better way to see America? We traveled from Atlanta to Washington, DC, and back again. It takes great skill and balance to walk along rows of seats. You get well acquainted with your neighbors as you clutch onto each other for balance. The experience was one we all will remember, and it gave me great insight for my books. Since train travel was such a vital part of the west, how could I write a book without it? My books are set in the 1880’s well after the merger. It was nearly dusk. Amelia figured she had better use the loo before it got any darker. She climbed to her feet and held onto the backs of the chairs to steady herself on the ever moving floor. She clumsily made her way up the long aisle only to find she had to go into the next forward car. She took a second to fumble with the lock on the door and slide it open. The blast of wind and dust in her face pulled loose most of her hair from its pins. So much for getting gussied up for travel she grumbled. Squinting her eyes, she precariously crossed the moving ground below to enter the next train. Making her way to the front she was dismayed to find a long line and a horrible stench coming from somewhere up ahead. The conductor spotting the well-dressed young woman hurried back to her. Amelia covered her nose as he approached. “Is there another?” She asked hopefully. Amelia smirked at that, she was half insulted and flattered. Another gust of foul odor filled the car as the door opened and released a rather white faced man and a green faced one took his place. Amelia nodded her thanks and made her way back to her own car. She passed her seat and again went outside to cross over to the last car. She wondered what kind of people could afford their own private compartment. Well she would soon find out she rationed. By the time she arrived her hair was completely lose and billowing around her in the wind and she really, really had to use the bathroom. The outer door was locked so she had to hold onto the railing as the wind threatened to rip her hair from the roots and knocked with her other hand. When knocking didn’t work she resorted to pounding. Chase was somewhere between consciousness and sleep. His eyes drifted shut as he finally relaxed to the swaying sensation of the train. After all the travel and bustling about it was nice to finally unwind. His peace was interrupted by a droning sound. The resonance could be heard over and over again above the clank of the wheels. Ever alert, he slowly lifted an eyelid. He gazed around the car to see if anyone else had heard the odd noises coming from the doorway. They had not. Aggravated not a soul seemed to notice the eerie sounds he climbed sleepily to his feet and opened up the inner door. Grabbing the swaying wall for support he stepped up to the outer door. He was startled to find a white, ghastly face peering in through the small square window. An eerie howl arose from its mouth and a chill stole through him. The whipping hair reminded him of a childhood legend his mother used to tell him about: It was a banshee. Had he angered the Gods somehow? An amazingly human like hand smacked the glass in front of him and he quickly wiped the sleep from his eyes. Taking a brave step forward he unlatched the door and the beast was upon him. He instinctively grabbed it and wrestled it to the ground as his family scrabbled over to see the disturbance. “Are you insane?” It screeched in an unearthly voice. Chase felt a sudden pain in his ear as his mother quickly summed up the situation and twisted. With a yowl, he was forced off the creature so that his ear would remain intact. He watched in slow motion as Thomas and Jaelyn hurried over to help it up to its feet. “I am so sorry, Miss. My brother is a dimwit. Are you okay?” Jaelyn asked the sputtering girl who was still trying to claw her way to Chase’s face. Taking a deep breath to try and force down her anger. Amelia closed her eyes and forced herself to calm down. She tried to smooth out her petty coats and windblown hair. Chase watched the scene from behind his mother. Before his eyes she seemed to transform from a windswept creature into a beautiful young woman. Chase sat and stared in bewilderment. “Just fine thank you. I am very sorry to intrude upon your family. The conductor suggested I might be able to use your privy? The one nearest to my car is unserviceable.” She blushed trying to explain her situation. “Oh, of course!” Jaelyn said elbowing the still dazed Chase out of the aisle so she could show their guest to the back. “What is wrong with you?” Anna badgered her son as he slumped into a corner like a beat down dog. “I don’t know, I was trying to sleep. I thought she was a banshee.” He mumbled, the words sounding ridiculous even to his own ears. “A banshee?” Anna asked with a scowl. “Was that before or after you manhandled her to the ground?” his father, Jonathan, asked with an amused chuckle.